Do you have problems with sleep? Do you have a hard time falling and staying asleep? You go to work or school feeling exhausted and burned out, right? Sleep is vital for survival – it’s not just about rest. An average person needs around 7 to 8 hours of sleep per night. It’s an important part of one’s daily routine and it’s now considered as vital for survival as food and water. Sleep affects almost all tissues and cells in the body – from the heart, brain, and lungs, to certain body functions such as mood, immune response, and metabolism. Without quality sleep at the right time, the body may suffer from various health problems. Fortunately, for people who have a hard time having a good night’s sleep, there are many ways to solve the problem. One of the most promising innovations today is the weighted blanket. 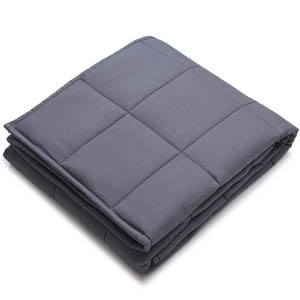 Weighted blankets provide pressure and sensory input for people who suffer from sleep problems and associated disorders like insomnia, restless leg syndrome, autism, and insomnia, among others. Insomnia is a very common sleep problem characterized by the inability to fall and stay asleep. For people with insomnia, they usually have difficulty in falling asleep. Also, when they wake up in the middle of the night, they have trouble going back to sleep. The brain has neurotransmitters or chemicals responsible for various brain and body functions. Imbalance neurotransmitters may lead to several conditions, including insomnia. In insomnia, the levels of serotonin decrease. This neurotransmitter or chemical that helps relay messages from one brain area to another, including the brain cells associated with mood, appetite, sleep, learning, social behavior, and memory. Weighted blanket benefits are in the form of warmth and the feeling of being hugged. They help your body release serotonin, which can promote relaxation and sleep. Also, heavy covers will help the body to naturally increase the levels of melatonin, an essential hormone that controls the circadian rhythm. It’s the body’s internal clock, telling it when to sleep or wake up. Increased serotonin levels also heighten the levels of melatonin. Hence, when weighted blankets help boost the release of serotonin in the body, melatonin levels will also increase. In fact, a recent study shows the positive effects of weighted blankets on anxiety. The researchers wanted to investigate the effects of weighted blankets on insomnia and how they promote sleep. They found that when patients used the blankets, the sleep bout time increased and the movements of the participants decreased. The participants also reported they slept better with weighted blankets because they were able to settle down easier. They also felt refreshed the next morning. Restless leg syndrome (RLS) is a condition affecting the nervous system. People with RLS, or otherwise called Willis-Ekbom disease, experience unpleasant sensations in the legs, leading to an irresistible urge to move them. The symptoms of the condition happen in the late afternoon or in the evening, interfering with sleep. Due to the lack of sleep at night, the condition may lead to daytime sleepiness and extreme exhaustion, which can affect mood, performance at work and in school, relationships, and concentration. Weighted blankets can reduce nighttime waking due to restless leg syndrome. Because of the additional weight of the blanket, it reduces tossing and turning at night. These are commonly seen in patients with RLS. People with RLS, even if they move their legs at night, they will not wake up, making them sleep well at night. When a person lacks the needed duration and quality of sleep, it can wreak havoc on his or her concentration and focus the next day. Children with attention deficit hyperactivity disorder (ADHD) may experience disordered sleep and in turn, they also have problems focusing when needed. 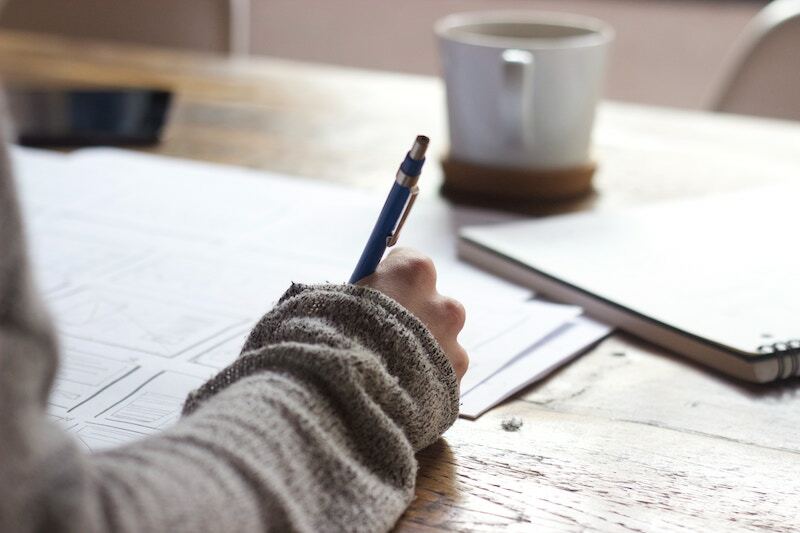 The common signs and symptoms of ADHD include the inability to sit still, having a hard time completing tasks and, restlessness. Weighted blankets have been proven to help calm and relax the overstimulated mind of people with ADHD, improving focus and concentration. A study has found that weighted vests, which provide pressure, helped kids to stay on a certain task. The children’s ability to concentrate has increased by 18 to 25 percent. People with sleep disorders often resort to medicines to aid in relaxation and sleep. Despite the fact that medication is a scientifically-based treatment method for sleep disorders and mental health illnesses, some individuals do not want to take psychiatric drugs. Instead, they tend to look for alternatives that have no side effects, such as drowsiness. Home remedies can also be used to aid in sleeping, just like a weighted blanket. 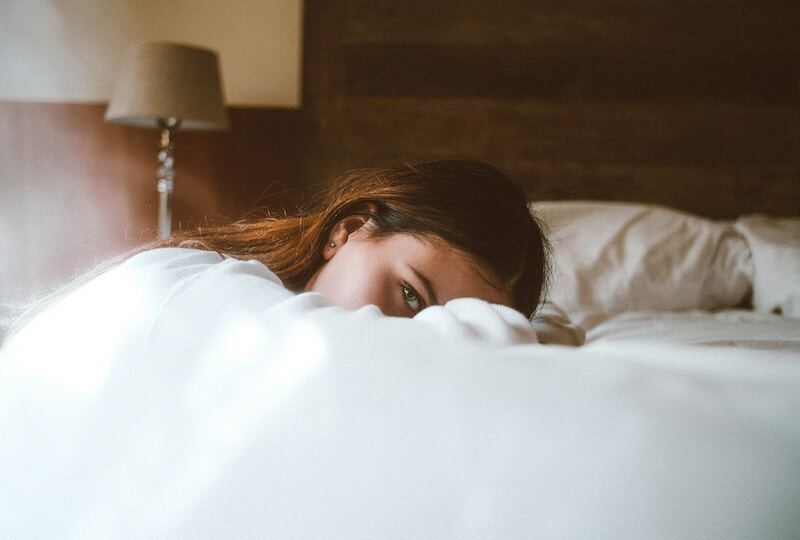 You can use a heavy comforter to naturally increase your serotonin levels, improve sleep, and mitigate the symptoms of mental health problems. But, it’s important to still consult with your doctor to see if a weighted blanket is a good home remedy for your case. The science behind weighted blanket benefits stems from deep touch pressure (DTP). 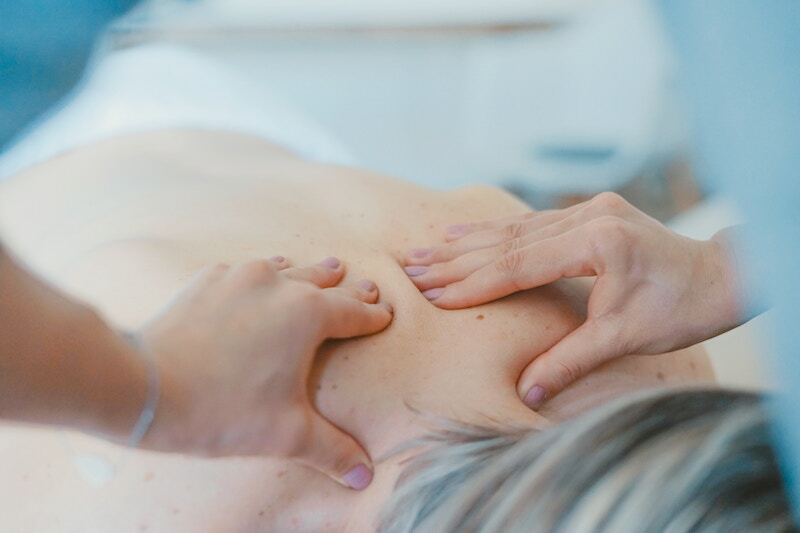 It involves gently applying pressure to the body that provides many health benefits, including the release of serotonin, which is the hormone that aids in relaxations and sleep. Moreover, deep touch pressure creates sensations that mimic hugging, squeezing, cuddling and holding. These sensations also trigger the release of serotonin, a neurotransmitter or chemical that helps in making you feel calm and regulates mood. Low serotonin levels have been linked to anxiety and depression. A study has shown that deep touch pressure (DPT) can reduce anxiety in hyperactive children and adults to attain a calmer behavior. The researchers found that people with anxiety may feel calmer and more relaxed after the administration of deep touch pressure. Low serotonin levels have been linked to many conditions such as depression, anxiety, panic attacks, insomnia, obesity, eating disorders, obsessive-compulsive disorder, fibromyalgia, chronic pain, and substance abuse, among others. Also, children diagnosed with ADHD have been found to have lower serotonin levels in the brain. When there is a boost in serotonin levels, it would inhibit the hyperactivity of these children. That’s why weighted blankets have been dubbed as a potential treatment for various conditions caused by low serotonin levels. Deep touch pressure, one of the main weighted blanket benefits, sends sensory information to the Purkinje cells found in the cerebellum. These cells contain serotonin and they can help reduce motor activity. Increasing the levels of serotonin released in the brain can promote relaxation and sleep. Plus, it can reduce anxiety, stress, and even hyperactivity in cases of ADHD. It is one of the most important weighted blanket benefits! Aside from serotonin, deep touch pressure can also increase dopamine levels. Dopamine is the neurotransmitter responsible for controlling the brain’s pleasure and reward centers. It regulates emotional responses and movements. Decreased dopamine levels are associated with mental health conditions such as depression and Parkinson’s disease. Weighted blanket benefits increase both the serotonin and dopamine levels, which are dubbed as the “feel good hormones” in the body. In turn, the body will feel more calm and relaxed, inducing sleep. There are studies that show using weighted blankets or the application of deep touch pressure in the classroom setting helped improve classroom behavior and performance. Most children with ADHD have problems with staying focused. A study has shown that ADHD-diagnosed children had improved in-seat behavior, attention to task, and task completion when they’re wearing weighted vests in school. The science supporting weighted blanket benefits in people with ADHD stems from the increased levels of serotonin in the brain. It has a calming effect and triggers the parasympathetic nervous system, which generally calms the body. Autism spectrum disorder (ASD) is a very complicated disease. The most common symptoms include problems with social skills, repetitive behaviors, speech problems, and avoidance of eye contact. There is no single cause of autism. However, it’s a combination of various factors – genetic, environmental, and the development of other conditions. But recent studies have linked the development of autism to low levels of serotonin in the brain. Deep touch pressure applied by weighted blankets can help patients with autism. How does it happen? The effect of pressure on the body is potent. In fact, even light to moderate pressure alerts the nervous system. Patients with autism may prefer a type of sensory stimulation called proximal sensory stimulation. This includes touching, smelling, tasting, and proprioception. When children with autism use weighted blankets, they feel safe, secure, and calm. Since the pressure mimics a hug, the body releases oxytocin, producing feelings of security. Children with autism have a difficult time sleeping. Hence, weighted blankets are used to calm them and promote improved sleep. They have been shown to dramatically reduce anxiety – one of the main weighted blanket benefits. People who experience anxiety may feel the calming effects of a weighted blanket rather quickly. In fact, a study found that deep touch pressure can reduce sympathetic arousal, providing a calming effect. 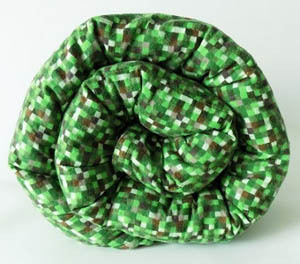 These heavy comforters may also relieve the bouts of OCD behavior. People with OCD experience obsessions and compulsions. Obsessions are unwanted thoughts or urge that may lead to anxiety. Compulsions, on the other hand, are behaviors that the person performs in order to relieve anxiety. One of the common methods to alleviate OCD anxiety is to increase the serotonin levels in the brain. This way, anxiety, and obsessive-compulsive behaviors are reduced. Like other anxiety disorders, OCD behaviors are driven by fear. Thus, people with OCD engage in these behaviors to calm themselves down. Weighted blankets can help calm OCD patients to sleep better and reduce their anxiety. 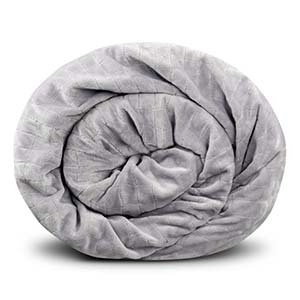 Weighted blanket benefits for your health and well being are plenty, and not just for insomnia, but also a wide range of mental issues like insomnia, autism and many more. It all boils down to deep touch pressure and the increase in serotonin levels in the brain. The blankets weight soothes the body and imitates the sense of a hug from a real person. It helps you fall asleep faster and feel less stressed during the day. 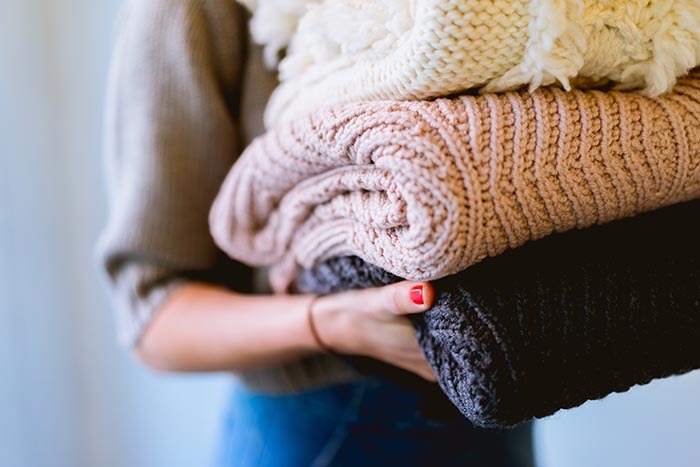 To see which are the best weighted blankets to buy and other important benefits, please visit our blankets comparison review and decide for yourself!